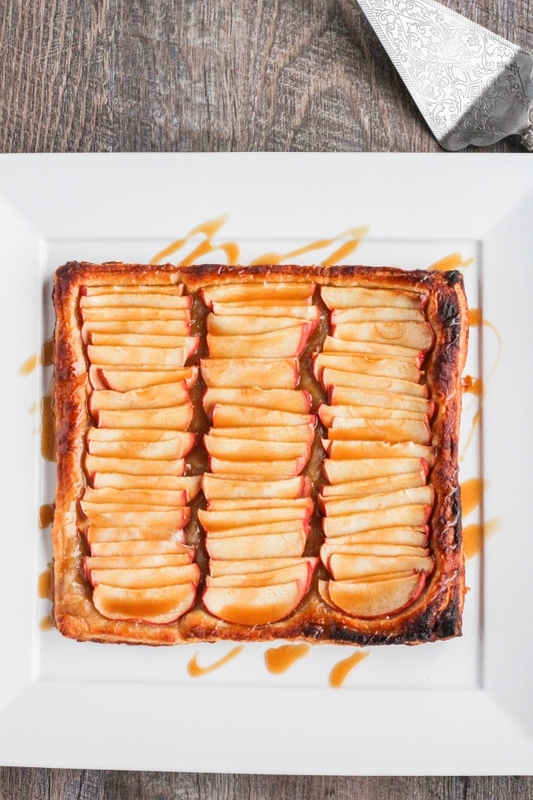 Celebrate fall and the upcoming holidays with this flaky and delicious Simple Apple Tart. Topped with a drizzle of caramel sauce, this is one dessert that everyone is sure to love! I received a Stemilt Growers' Curated Box at no cost to me. All opinions, as always, are my own. Although I love everything pumpkin when fall rolls around, I have an equal amount of love for apples as well. It's been a tradition since my boys were little to head to our local orchard and pick apples and enjoy copious amounts of fresh cider and freshly baked doughnuts. We eat plenty of apples as snacks, but I love to cook with them as well. 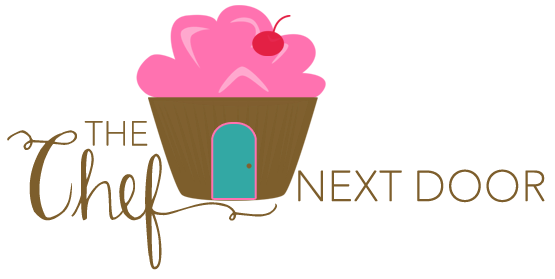 From savory dishes to sweet desserts, apples are so versatile and can be made into so many things! My friends at Stemilt Growers recently sent me a beautiful assortment of apples that I just couldn't wait to dig in to. 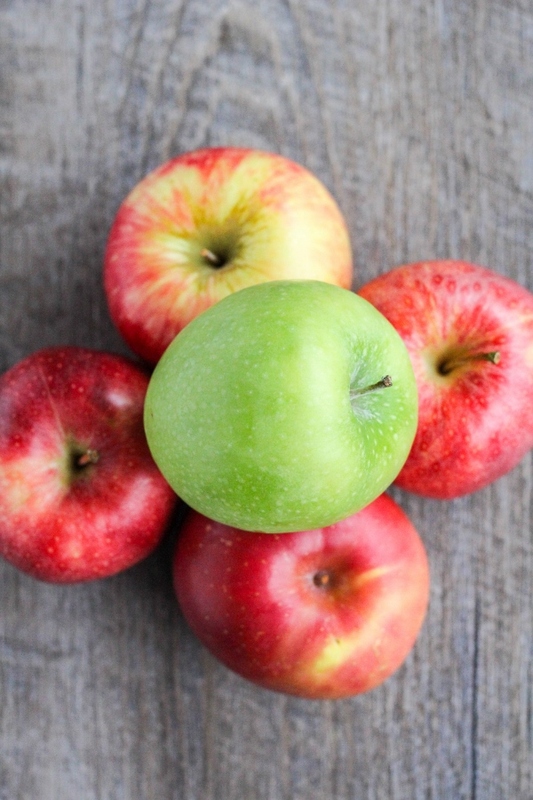 Tart Granny Smiths, crunch Honeycrisps, sweet Fujis, and one of my absolute favorites, Galas. I've been making this Simple Apple Tart for years now but for some reason have never shared the recipe. Using store bought puff pastry dough, this tart couldn't be easier to make! Whether you're looking for a new dessert to make for the family or you're in need of some inspiration for the upcoming holidays, this tart is a definite crowdpleaser! Place the pastry onto a silicone mat or a piece of parchment paper and gently roll it out an extra inch or so. Place the pastry, mat or paper included, onto a baking sheet. Place the apple slices into a large bowl. Add the sugar, lemon juice and salt and stir to combine. Arrange the apple slices on the pastry in three rows, overlapping the apples as you go. Bake the pastry for 20 to 25 minutes, until it's puffed up and golden brown. 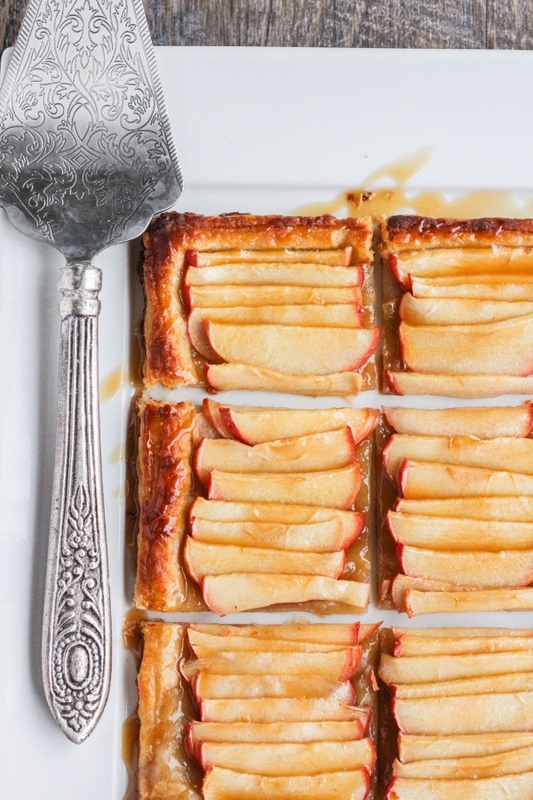 Remove the tart from the pan and place on a serving platter. 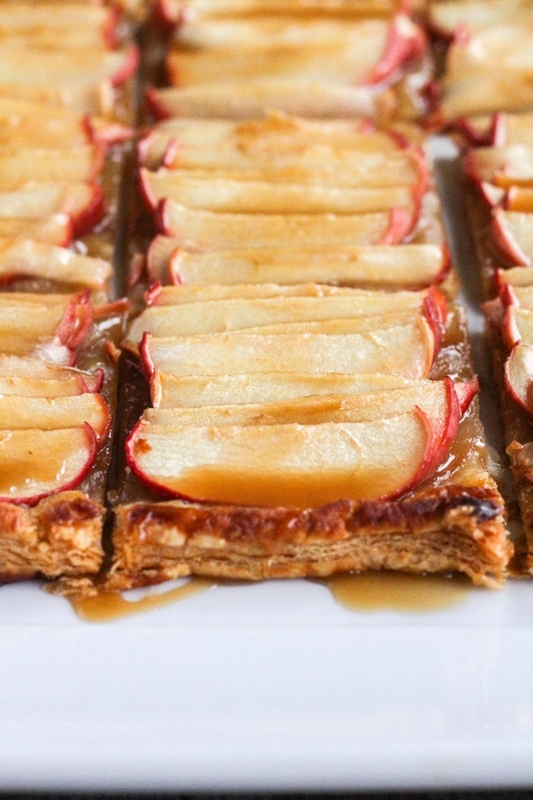 Drizzle with caramel sauce, cut into slices and serve.